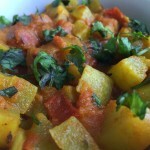 Lauki (bottle gourd) with tomato has a lovely sweet and sour taste. 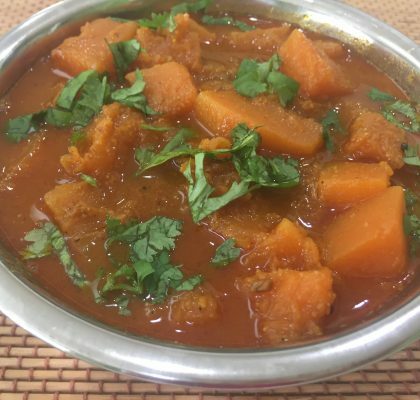 It is a totally different and unique way to cook this variety of gourd. Peel and cut lauki into small 1" x 1" cubes. Discard any hard big size seeds in the center when cutting. 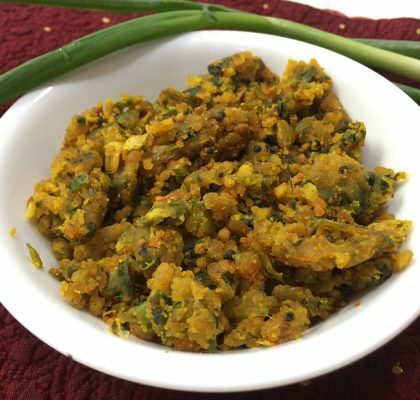 For 1 cup cut lauki, heat 2 tsp oil in a pan, and add 1/4 tsp cumin seeds, a pinch of asafoetida(hing), 1/4 tsp turmeric powder, 4 cloves and 1" piece of cinnamon. Stir fry for a few seconds and add 2 tomatoes cut into small pieces. 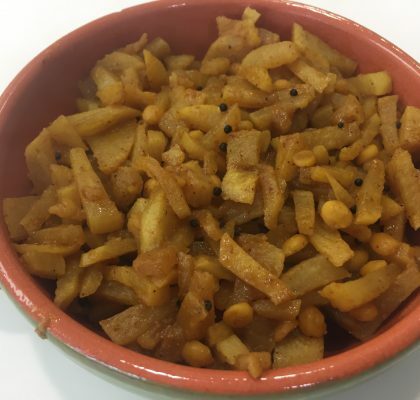 Add the lauki pieces and mix well. Add salt and red chili powder to taste, 1/4 tsp coriander powder, 1/4 tsp cumin powder, and 1/4 cup water. Cover to cook till the lauki becomes soft.